It is with sadness that I report that Senta Yamada Sensei passed yesterday the 8th August at 5pm. 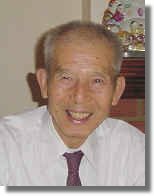 Yamada sensei has made many contributions to the development of Aikido and will be deeply missed by all. There are also proposed plans for a memorial – to learn more please visit the Tomiki Aikido UK facebook group.